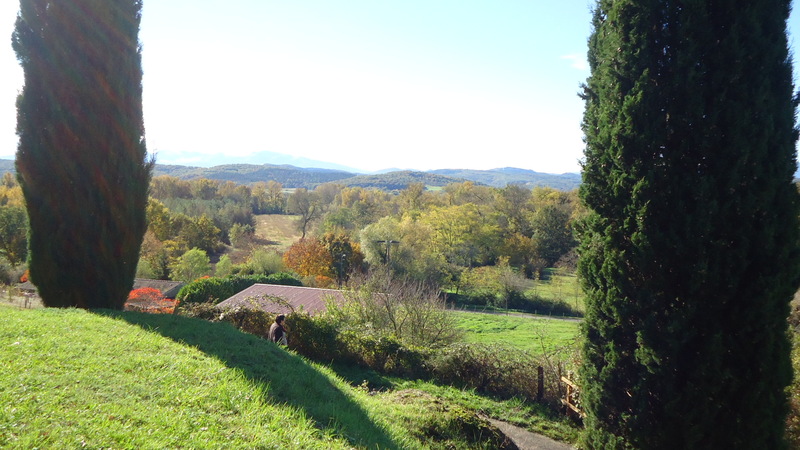 The little village of Vals lies just off the D119 between Mirepoix and Pamiers. There is just a huddle of houses and above the village what, at first sight looks like a fortified house or small chateau. 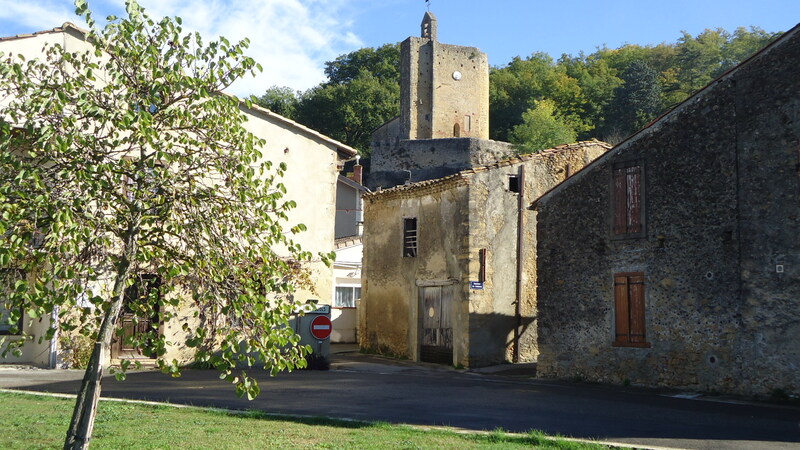 Take a few steps further and you discover your mistake… it is, in fact, a church- the church of Note Dame de Vals. 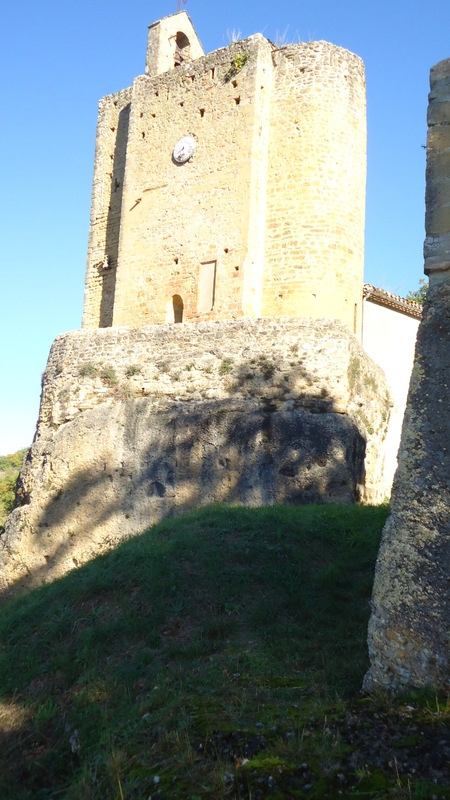 It is part-built into a large outcrop of rock – an eglise rupestre as they say in this part of the world. 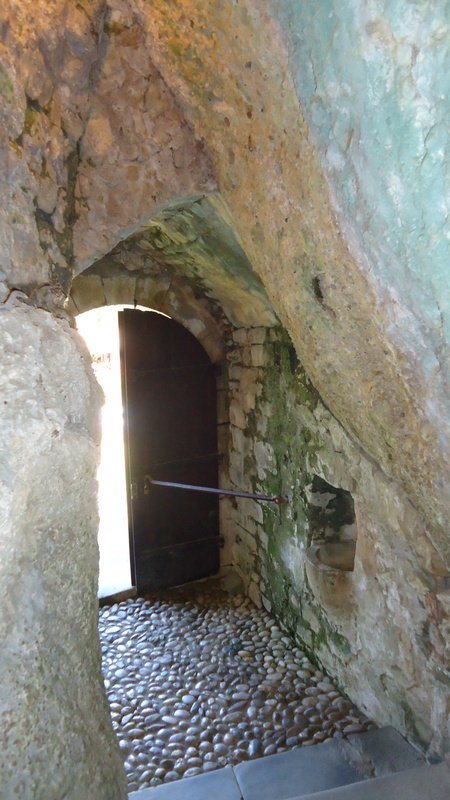 Enter the church through a stout oak door and you are faced with a spiral stone staircase winding up through the rock. Daylight from natural fractures and fissures in the rock lights the way. 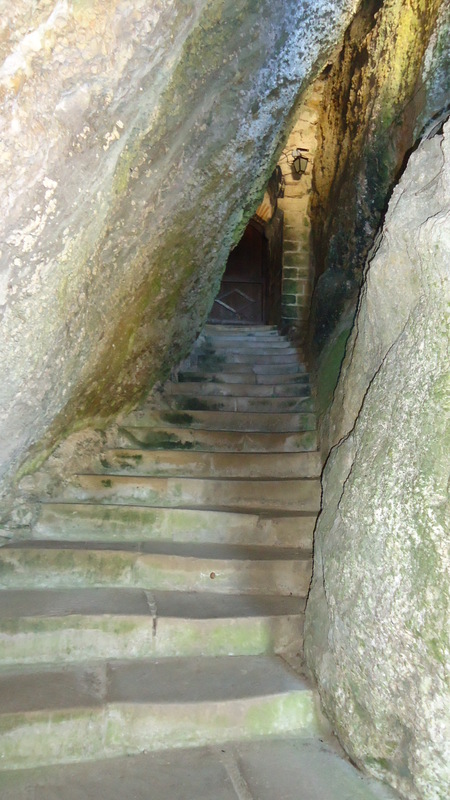 The stairs lead to the first of three levels. 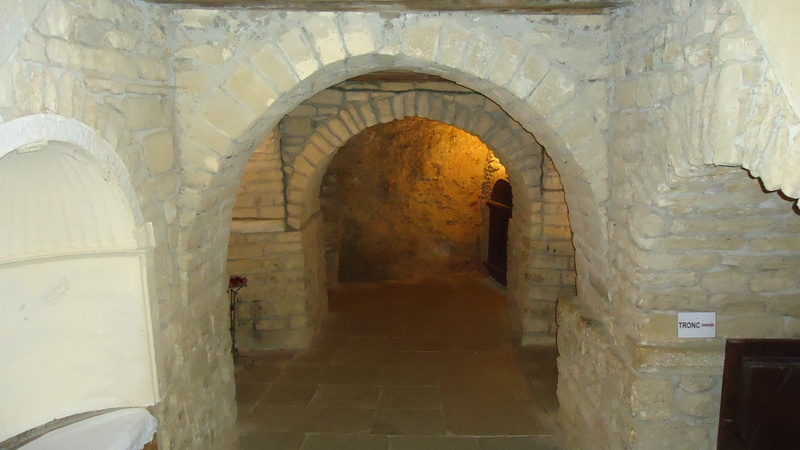 The first level is the oldest dating from the tenth century and lies in the heart of the rock. 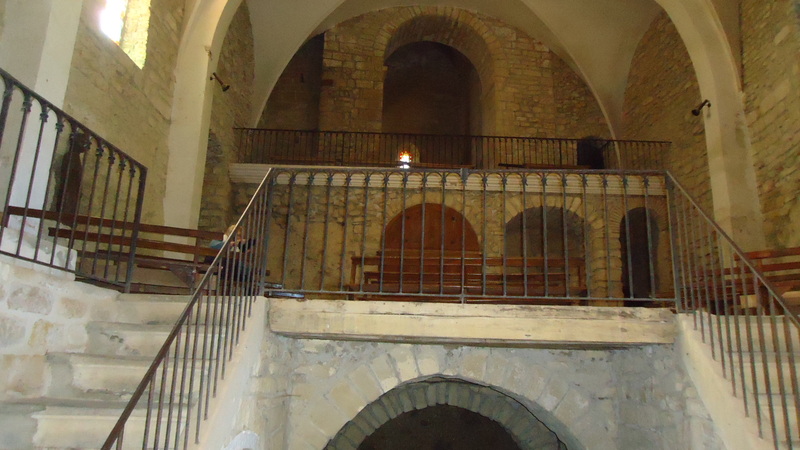 This part is the lower nave or sometimes called the crypt. It feels a little spooky to be so entombed but the effect wears off especially when you look up to the ceiling where beautiful frescoes depict aspects of Christ’s life. 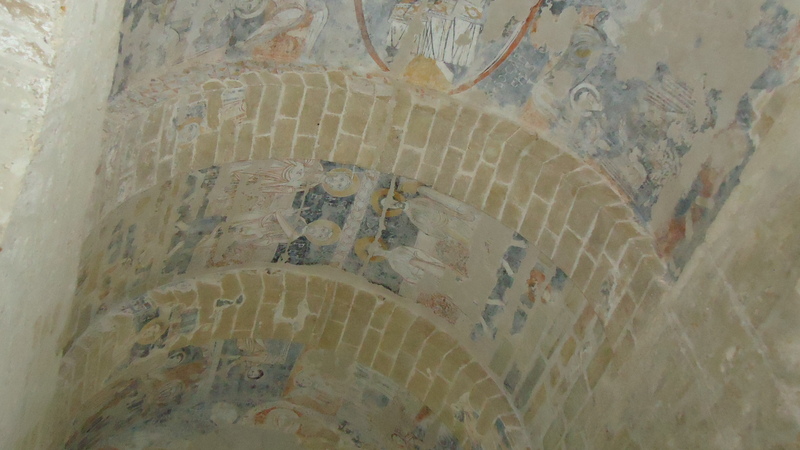 The colours are gentle – chalk white, pale red, ochre and black -and dissipate the spooky effect. From this level a second staircase takes you to the upper nave, rebuilt and extended upwards in the sixteenth century after a fire. 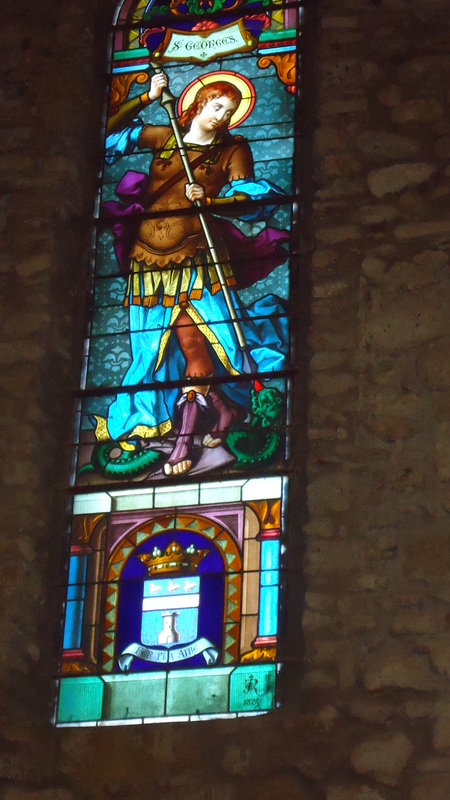 Two colourful stained glass windows, installed in the nineteenth century filter soft light into the gloom. Go further and you enter the little twelfth century chapel of St. Michael below the church tower itself. The tower was transformed into a defensive refuge during the fourteenth century and the whole site surrounded by a ditch. This was the time of the Hundred Year’s War and the tower protected the locals from incursions by bandits and ne’er-do-wells during these troubled times. On a bright and sunny November day where nothing is to be heard except for the occasional cow bell it is hard to imagine the villagers of the fourteenth century scurrying, at the tolling of the church bell, for sanctuary clutching their most prized possessions. Altogether though, there is something mysterious and magical about the place.